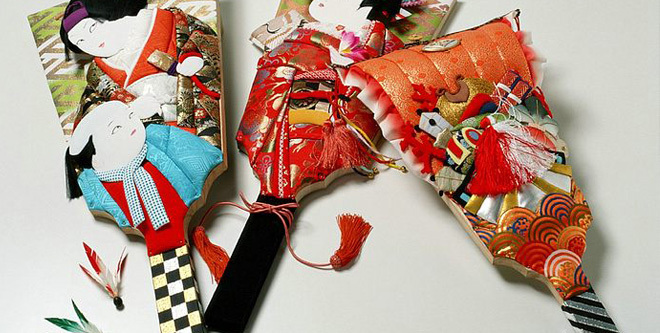 A hagoita is a rectangular board with a handle used for playing a New Year game called hanetsuki. It is perhaps best described as a kind of game hitting badminton shuttlecocks with large ping-pong rackets. The hagoita sold at Hagoita-ichi, however, are not for practical use; they are, in fact, good-luck charms for ornamental purposes, for they are decorated with gorgeous pictures and accessories. The front of the hagoita is designed with images of elegantly made-up Kabuki actors.